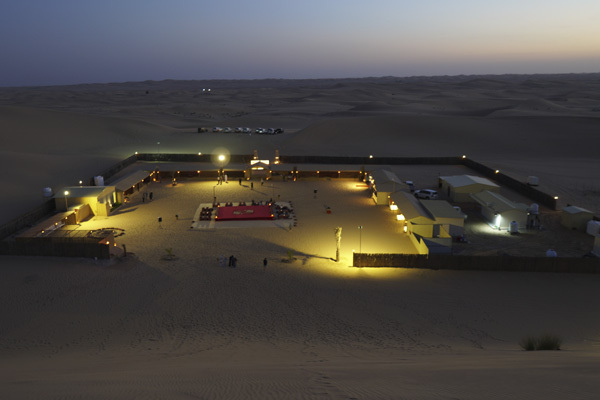 Venture through the moonlit dunes deep into Al Khaznah, where the Desert Rose desert camp awaits,	to experience a handcrafted slice of the UAE's timeless heritage. Breathe in the natural life of the original desert nomads in the five permanent tents,	complete with comfortable beds and bathroom facilities, and an authentic majlis tent for relaxing in the evening. We are the experts in creating authentic desert events. From small and intimate to large and bespoke,	our dedicated events management team work closely with you to	design your perfect event. 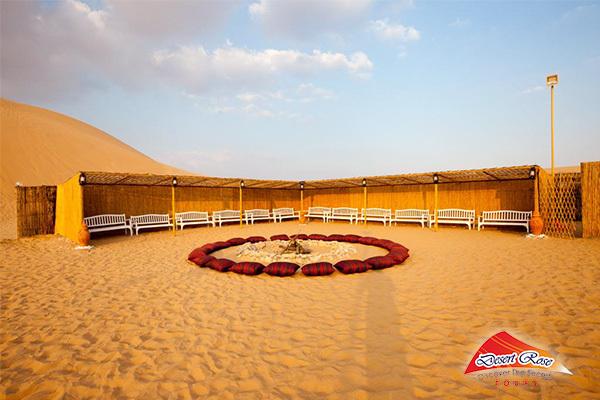 We have extended our multi-award winning	desert experience with offering perfect range of activities. 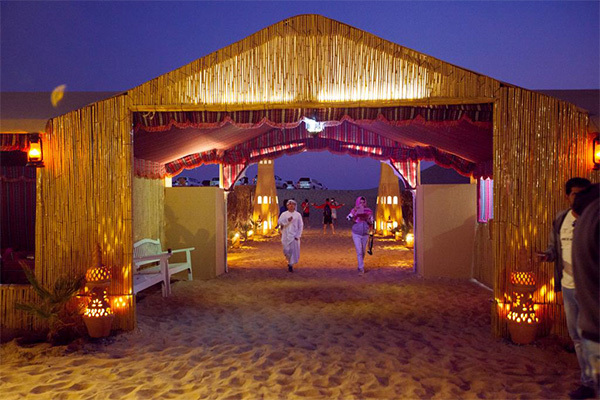 The Desert Rose Bedouin Desert Camp is located in the desert dunes of Al Khaznah, between Abu Dhabi and Al Ain, United Arab Emirates. You can easily get here from the main Abu Dhabi to Al Ain Road. The camp is 85 km from Abu Dhabi airport and 100km from Abu Dhabi city and it will take you up to 1 hour to get here from Abu Dhabi	and just 40 minutes if you are coming from Al Ain City. The road also features a road which will take you to the camp without having	to use the 4×4 jeep which is used by other camps and there are signs that are made available to guide you to the camp. 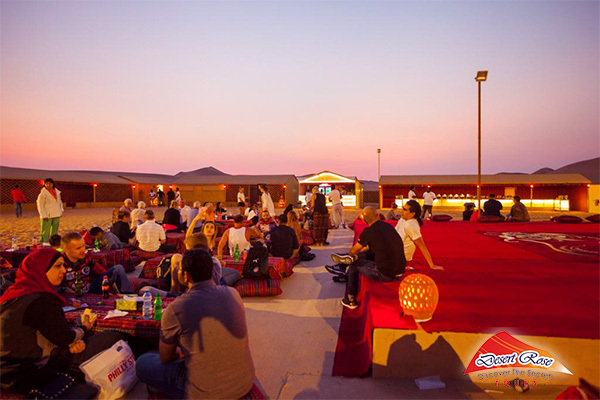 Our traditional Desert Camps are grand, hygienic and comfortable, equipped with all basic necessities.